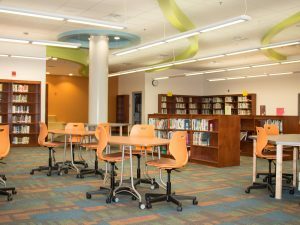 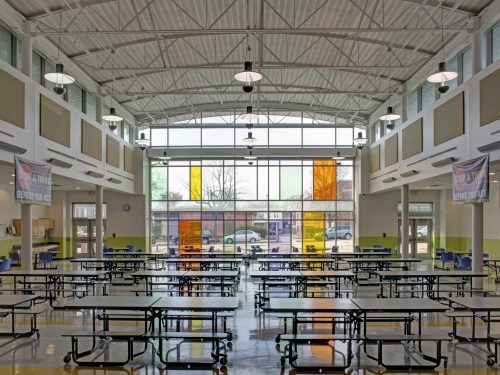 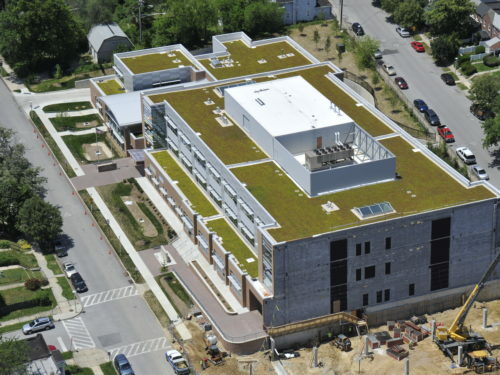 JMT provided construction management and inspection services on behalf of Baltimore City Public Schools for a green school on track to be certified LEED® Silver. 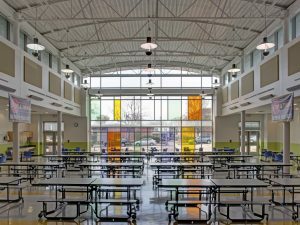 The new Waverly Elementary/Middle School is a three-story building that combined the existing middle and elementary schools into one single, expanded, educational facility. 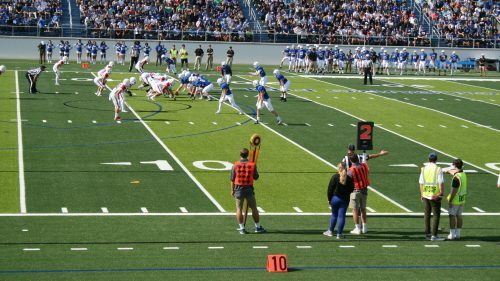 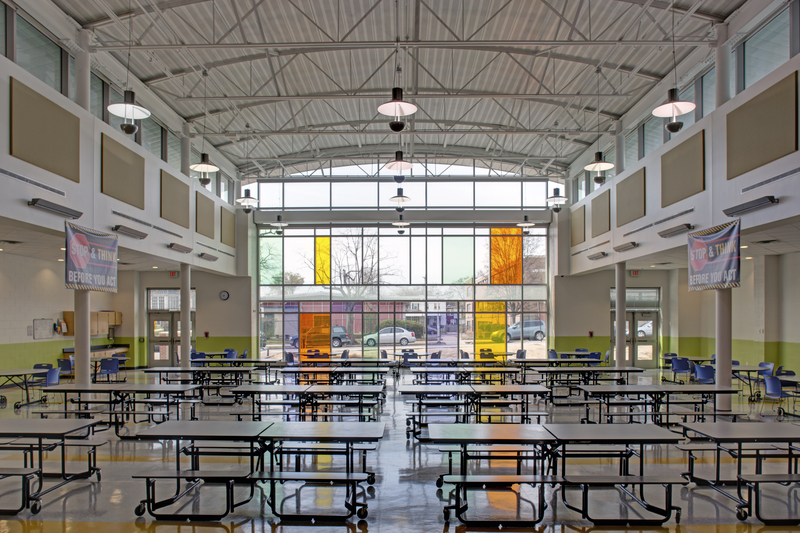 The 118,000 SF facility was constructed adjacent to the existing elementary school, allowing both existing schools to remain in operation throughout the project. Upon completion of Phase 1 (December 2013), both schools were relocated to the new facility, allowing the elementary building to be torn down to complete Phase 2. 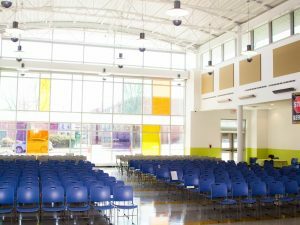 The new building includes a centrally located media center, computer labs, science labs, a gymnasium, cafeteria, and specialized classrooms designed for art, music, and special education. 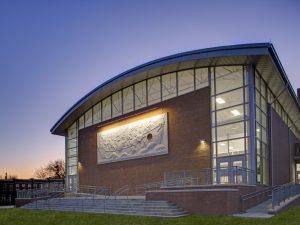 The building itself is made from a combination masonry and steel frame structure supported on spread footings throughout the site. The façade is a combination masonry cavity walls and a metal panel system that includes a combination of large curtain wall and storefront windows. The building contains seven air handling units serving VAVs with reheat coils for each classroom. 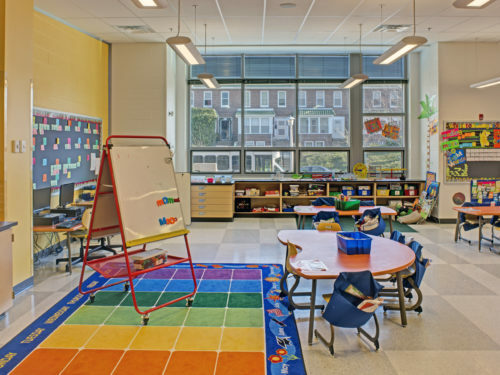 The central building automation system is state-of-the-art and can be monitored and controlled remotely. 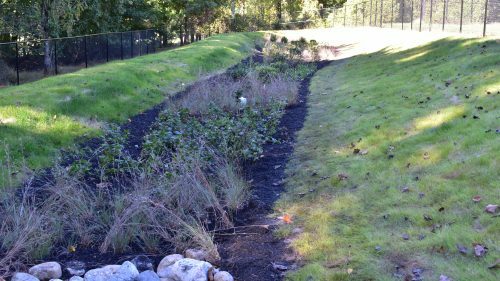 Site improvements include new bio-retention ponds, landscaping, sidewalks, playground, a soccer field, and an outdoor basketball court. 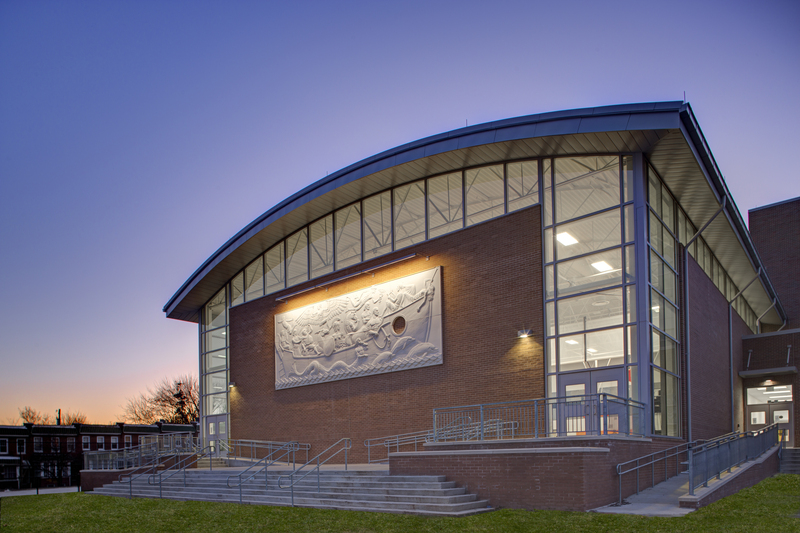 Multiple cast-in-place concrete retaining walls were installed to incorporate the changes in elevation across the three-acre site. 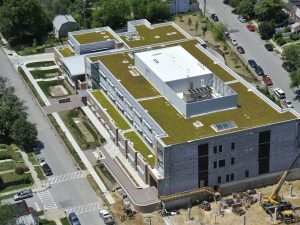 The Waverly project is on track to achieve a Silver-level rating under the US Green Building Council’s LEED® Rating System. 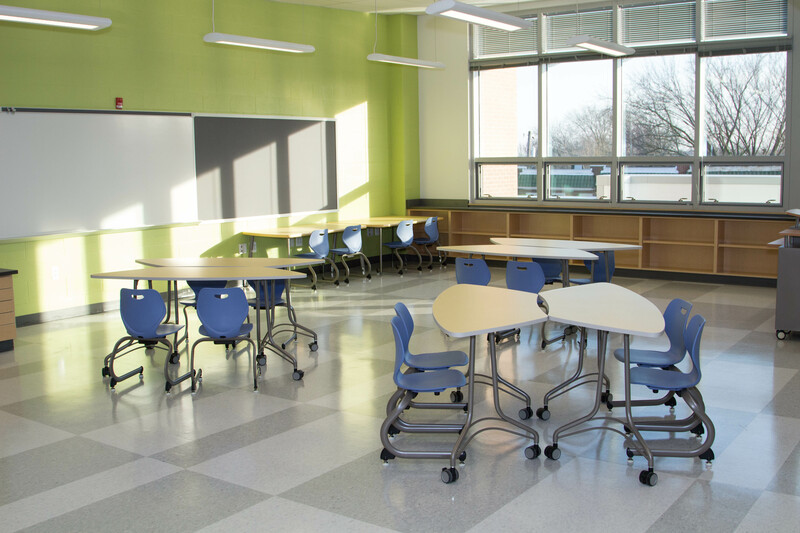 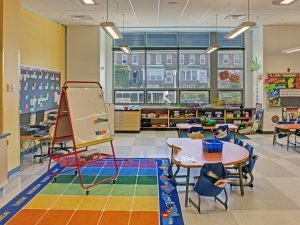 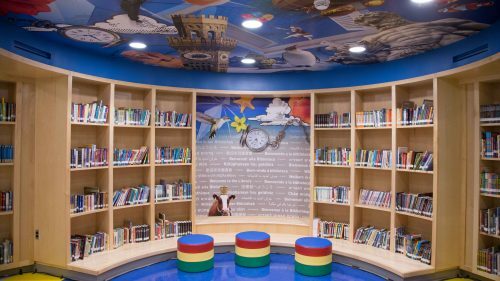 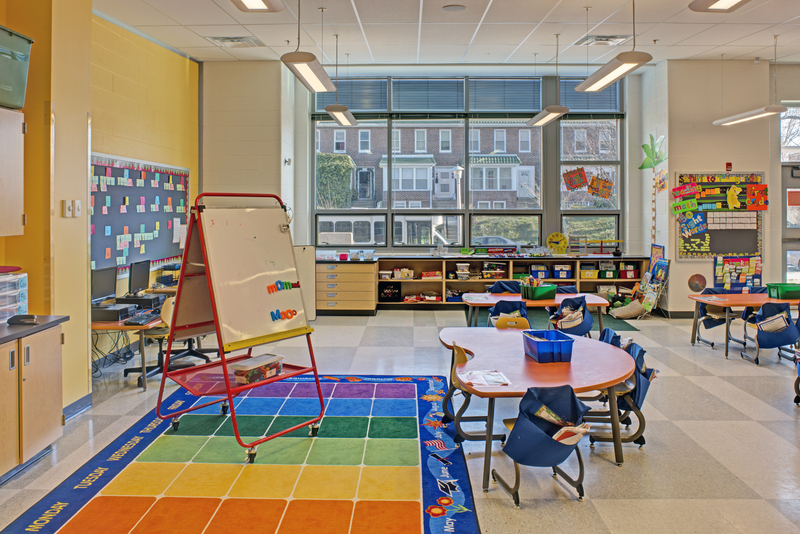 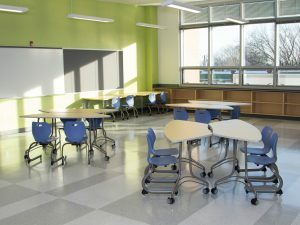 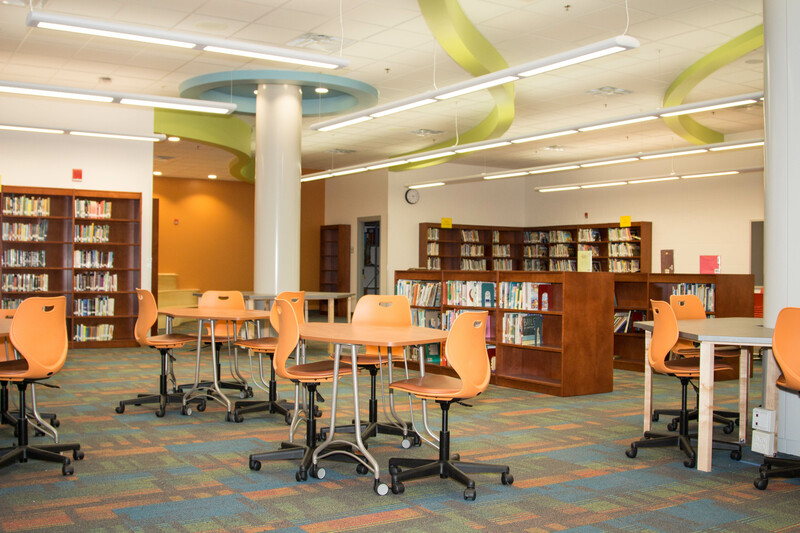 Sloped ceilings in classrooms bounce daylight deeper, reducing the need for artificial light. 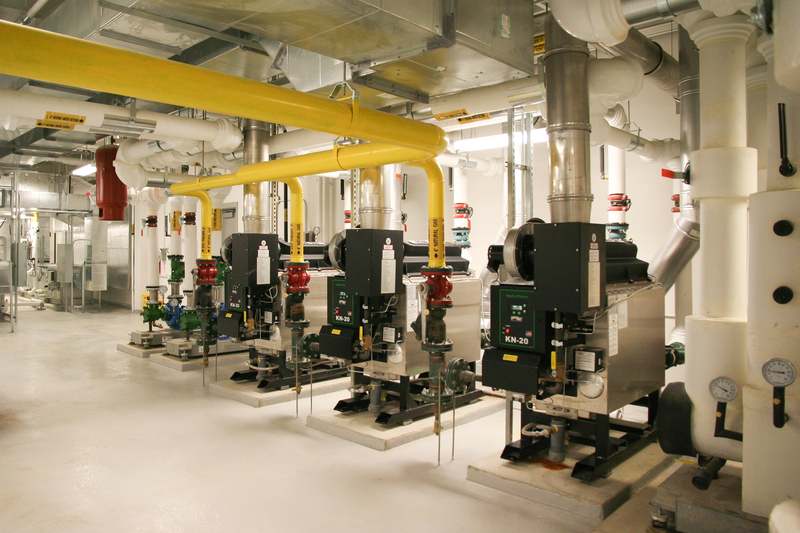 Low flow, sensored plumbing fixtures throughout the school reduce overall water use. 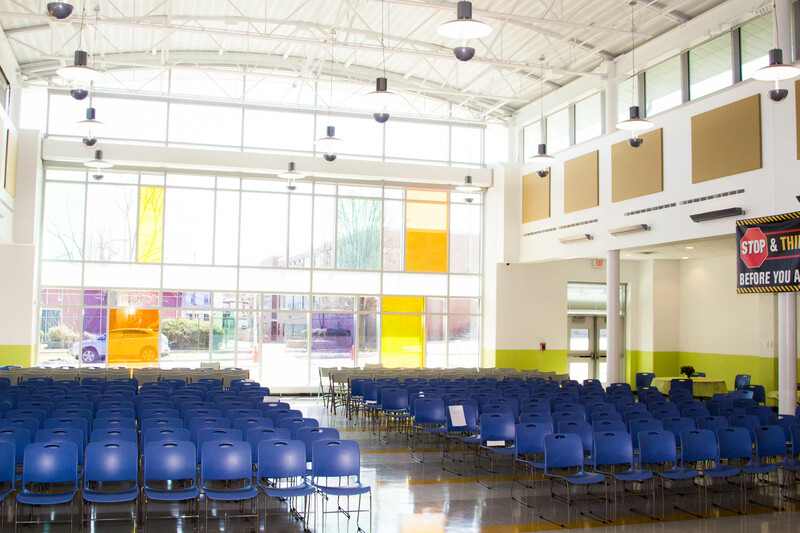 High-performance glass along with an energy-efficient mechanical system reduces energy use. 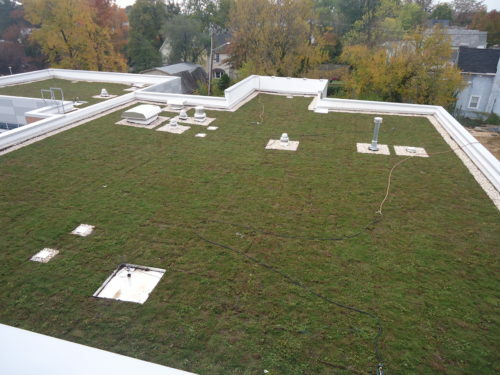 Multiple on-site biofiltration areas were installed to treat and manage stormwater. 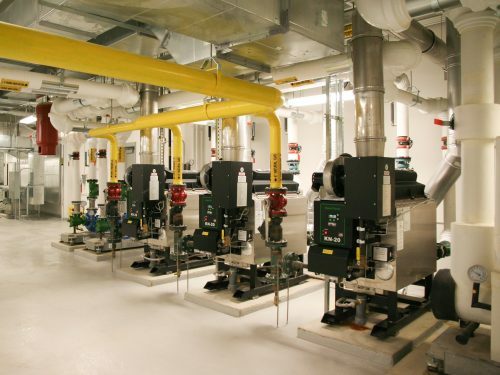 Further, the underground parking garage reduces impervious area onsite. 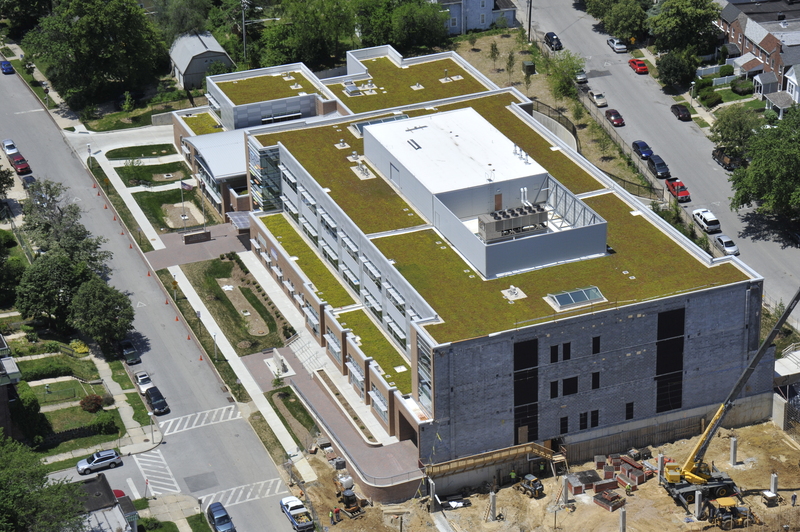 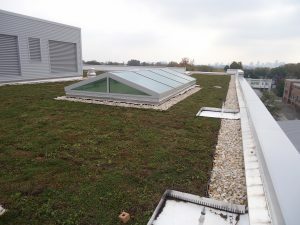 A “green roof” consisting of vegetative and Energy Star materials helps reduce building heating and cooling requirements.